Whether pro or novice, young or old, you will enjoy your time at Tuttle Creek Shooting Park. We are open to the public Thursday nights and Sunday afternoons. View our calendar to plan a visit. You don’t need to be a member of TCSP to enjoy all of our amenities, however the low cost of membership quickly pays for itself! Since the late 1960’s the TCSP Industrial League has been a standard all other leagues aspire to be. TCSP Industrial League is the standard all other leagues aspire to be. Beginning in 1967 Tuttle Creek Shooting Park has stood the test of time. We provide a shooting park for shooters of all ability to enjoy the sport. Owners, Rob, Joan, and J.R. Taylor continue to provide a shooting park for shooters of all ability to enjoy the sport of shotgun shooting. 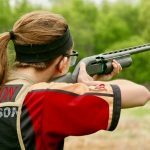 Registered ATA sanctioned shoots, League shoots, practice on Thursday evenings and Sunday afternoons, as well as private shooting events for your group or organization. Tuttle Creek Shooting Park is home to Rob Taylor Guns. 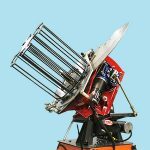 RTG is known nation-wide as being one of the most knowledgeable trap gun dealers in the nation. Whether pro or novice, young or old, you will enjoy your time at Tuttle Creek Shooting Park. Bring the family and give us a shot! We have something to offer everyone. Bring the family and give us a shot! 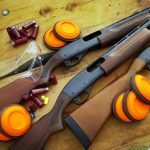 Trapshooting is our main attraction, and it’s what most of our customers come to our range to shoot. Trap is shot in 25-target rounds. Crazy Quail is the new, exciting and fun shotgun attraction. 6 traps throwing unlimited variations of targets, height, speed, angle and rotation change every single shot….25 targets in a round. It’s fun and exciting, perfect for the Hunter or the Seasoned Shooter. TCSP’s registered shoots are sanctioned by the Amateur Trapshooting Assoc., and the Kansas Trapshooting Assoc., the highest standard as an excellent target presentation for the shooter. All registered events at TCSP are two days. See our calendar for registered dates. TCSP always carries a wide selection of the most popular ammunition. Website created and hosted by NCS.